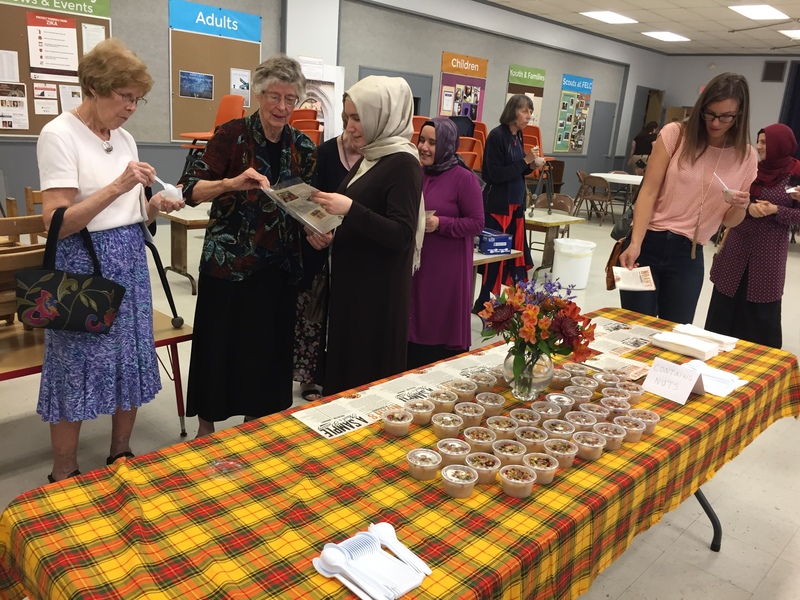 Dialogue Institute Austin hosted Noah’s Pudding events at First English Lutheran Church of Austin, St James Episcopal Church, Central Presbyterian Church and Unity Church of the Hills in an effort to spread the message of living with people from diverse cultures in harmony and peace. 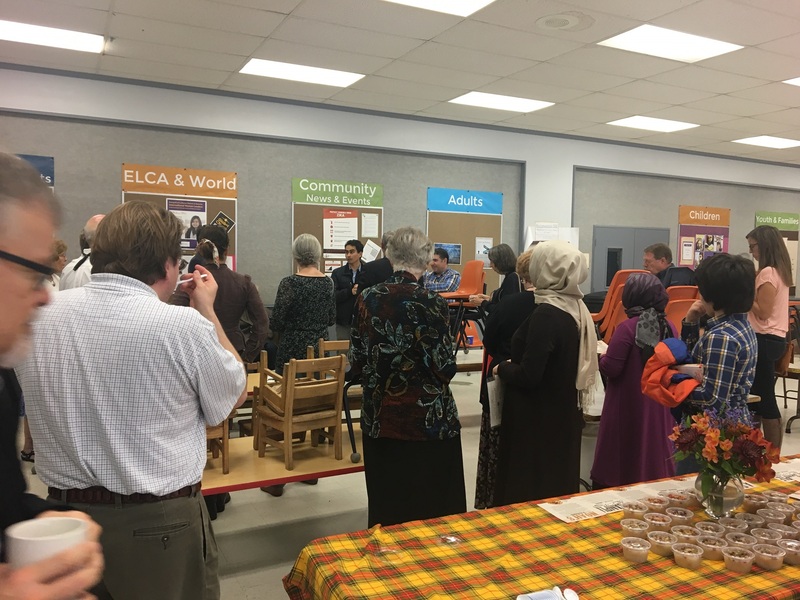 As the story tells us, Noah’s Ark landed on top of a mountain after the flood dissipated. 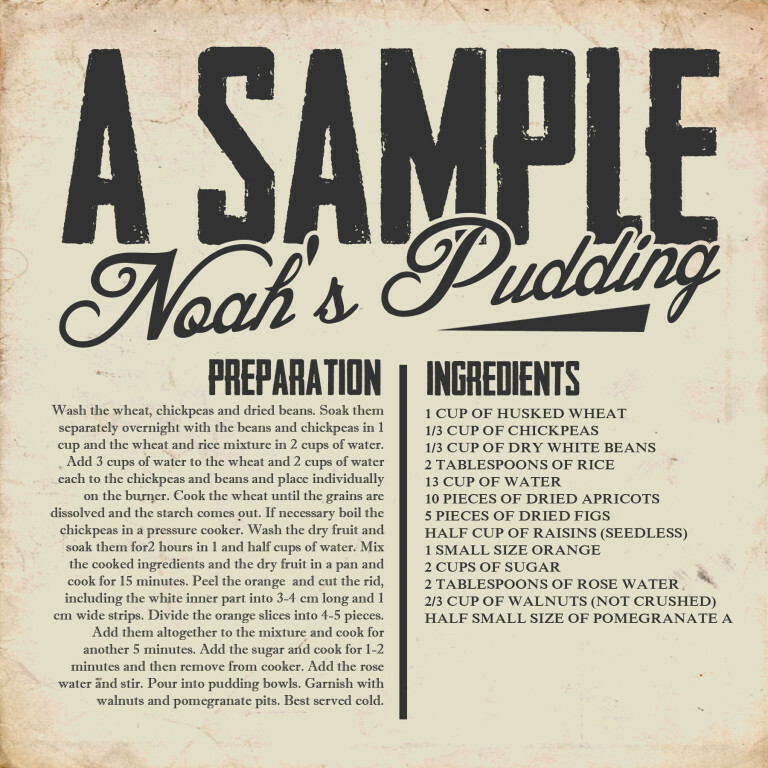 Noah and his family then proceeded to gather ingredients around the Ark to create a dish. 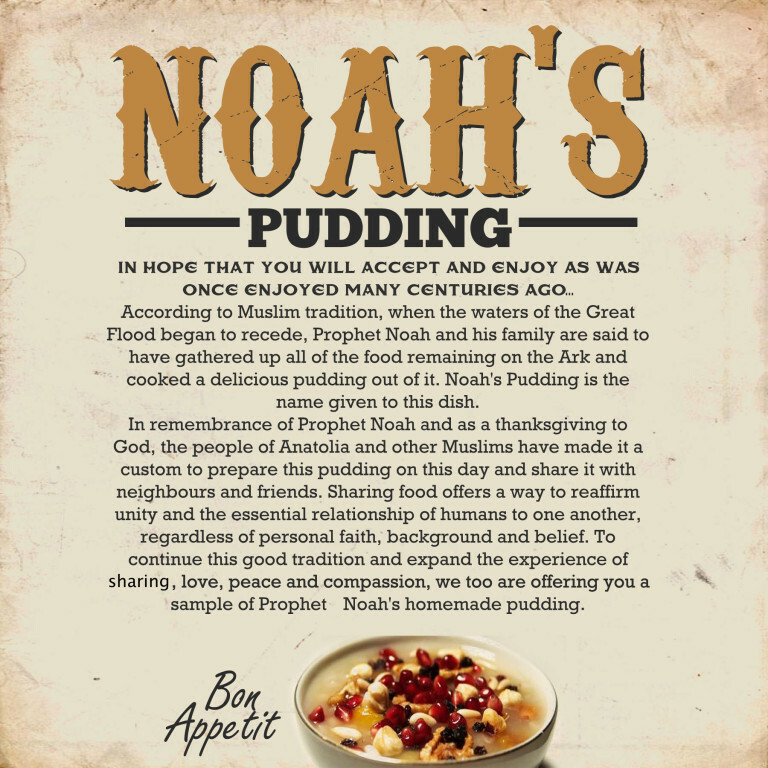 This aforementioned dish became known as “Noah’s Pudding”, and it has been part of Ashura tradition since. It is made of wheat, beans, chickpeas, raisins, apricots, almonds, and sugar. Any extra, and fun, ingredients would stem from the chef’s imagination.